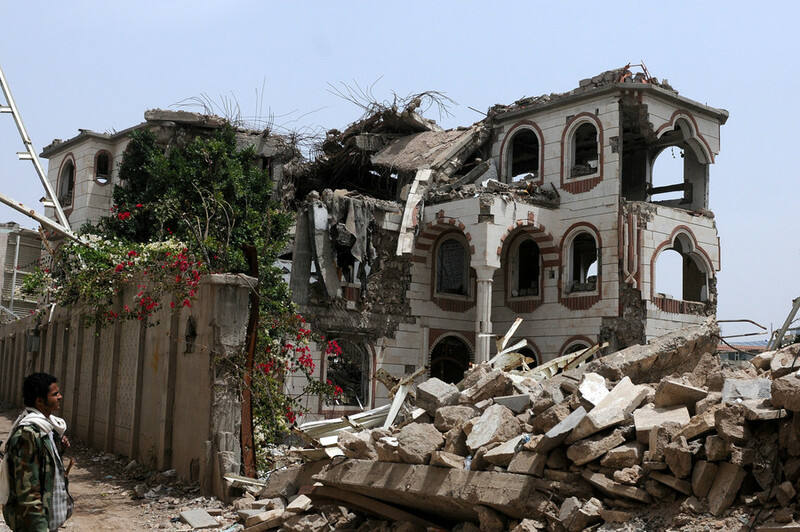 To what extent is the UK aiding the Saudi intervention in Yemen? A new report suggests help is more hands-on than just defense deals. Never seen before documents published as part of a new paper titled 'UK Personnel Supporting the Saudi Armed Forces – Risk, Knowledge and Accountability', suggest that some of the functions carried out by British personnel and arms companies in the Gulf kingdom may be more than what the Government is willing to admit. According to the report, British arms deals to Saudi Arabia dating back to to 1985 have contained secret support clauses for British-made aircraft which tie British contractor and government personnel to Saudi military action, even if the UK is not itself involved directly. These aircraft, namely Panavia Tornado and Eurofighter Typhoon fighters, have been conducting continuous airstrikes against targets in Yemen since the country erupted into civil war in 2015, with strong claims made by human rights organizations that war crimes are being conducted, including the use of cluster munitions. A recent strike, on April 23, hit a wedding party where 20 civilians were killed. Since the Saudi-led intervention began and the end of 2017, some 5,500 civilians have been killed with over 9,000 injured, according to the UN. The country’s infrastructure has completely collapsed. Based on two years of interviews with former staff by Mike Lewis and Karen Templar, with support from the Joseph Rowntree Charitable Trust, the paper is part of a wider 'Brits Abroad' project which examines the role of UK nationals operating outside the UK to contribute military and security services in armed conflicts. While Whitehall has maintained that UK personnel currently stationed in Saudi Arabia have been away from any frontline roles including the targeting or weaponizing of British-made aircraft used in Yemen, terms contained in secret government-to-government contracts dating from 1986 still dictate British help to the Royal Saudi Air Force when the kingdom is at war. The report puts the UK’s human ‘footprint’ at approximately 7,000 UK contractors, UK civil servants and seconded UK military personnel. Another 48 Tornado were added in 1993, and support was extended again under the Saudi British Defence Cooperation Programme (SBDCP) from 2006 onwards. In 2005, the Al-Salam arms deal covered the delivery of 72 Typhoon fighter aircraft - built by the Eurofighter consortium which includes British firm BAE Systems - and came with a full support package. During the first Gulf War in 1990, BAE employees in Dhahran - now King Abdulaziz Air Base - directly maintained and loaded weapons for both RAF and RSAF Tornado aircraft. One former BAE Crew Chief at Dhahran, quoted in the report, claimed to the UK Ministry of Defence that “it was left up to literally a handful of us experienced ex-RAF personnel to direct combat ground operations” during the conflict. Since then, BAE have been more reluctant to give such support to Saudi military excursions that does not directly involve the British military. In 2008 it issued a “pullback” from direct handling of cluster munitions in 2008, followed in 2009/10 with resigning from directly operational roles in squadrons engaged in active combat upon the start of Riyadh's offensive in Yemen. However, this “pullback”, British expats who worked as armorers and technicians claim, remained incomplete and British staff were still expected to carry out armoring tasks of aircraft and support ground activities. Others took on maintenance and weapons management functions during night-shifts and back-shifts, furthering the blurring of advisory and operational roles, while others, there to train Saudi maintenance crew, took on deep maintenance of warplanes involved in strikes against Houthi rebels when Saudi staff were too few or off shift.